Teapots are a pleasure to collect and also make lovely gifts for anniversaries, weddings, birthdays or other special occasions. 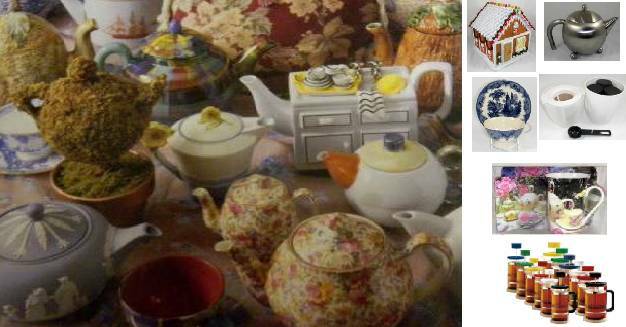 Tea Laden brings you a wonderful assortment of teapots that will be a perfect gift for yourself, close friend, or relative. Enjoy browsing through our many different styles of teapots. For further assistance in choosing the correct teapot for your needs, click the "Choosing a Teapot" button On the drop down menu. An assortment of beautiful Yixing clay teapots from China. 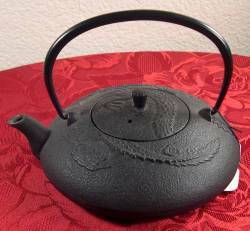 Teapots made of heavy cast iron from Japan. Also a nice selection of cast iron from China. Traditional English teapot in four sizes. This style also has creamer, sugar, and mugs. Beautiful teapots that are a pleasure to collect, display and serve. Lovely shapes and motifs. Fine bone china from England featuring floral patterns, fluted teapots, and fun motifs.